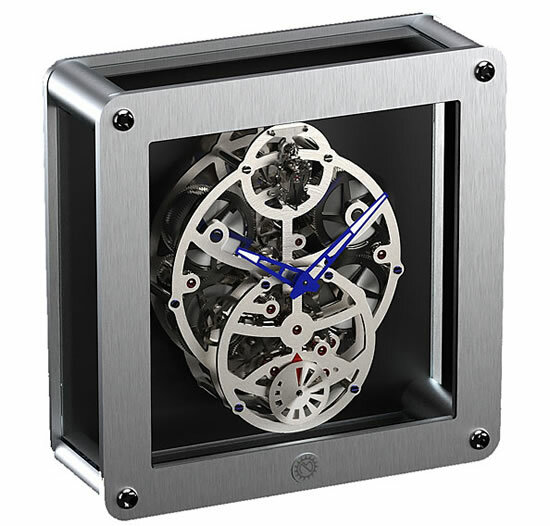 Nixie Machine Clock designed by Frank Buchwald for MB&F M.A.D Gallery is one of the most badass sculptural clocks we have ever seen. 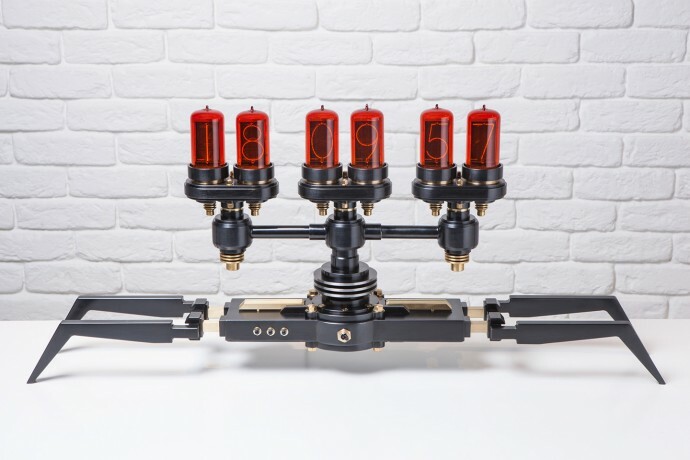 The jaw-dropping creation is crafted out of burnished steel, brushed brass, and features six glowing Nixie tubes made half a century ago. 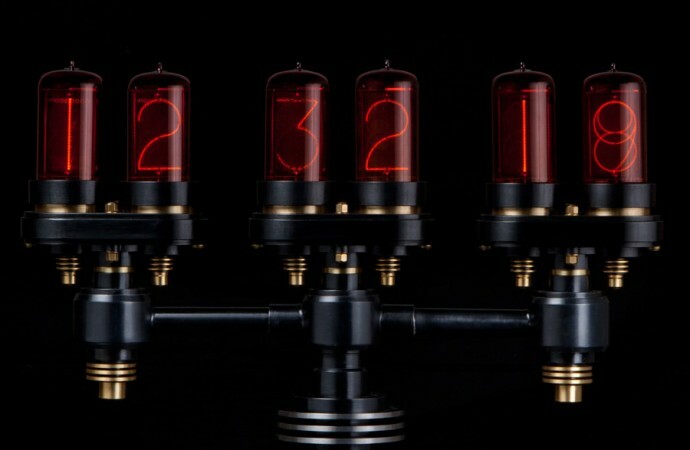 Don’t worry if you haven’t heard of Nixie tubes before. 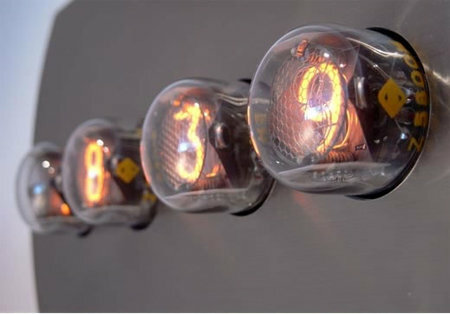 Nixie tubes are neon numeric displays housed in a vacuum tube-like enclosure and were one of the earliest ways for digital devices to give users feedback. 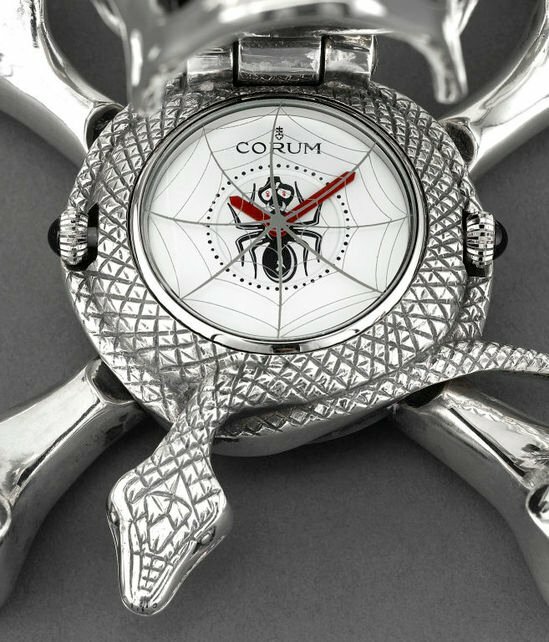 They’ve now turned into very desirable collectors’ items and can sell for hundreds of dollars a piece. Each one of Nixie Machine’s glowing six digits is displayed via an original, incredibly preserved Z568M Nixie tube manufactured by RFT in East Germany during the 1960s. 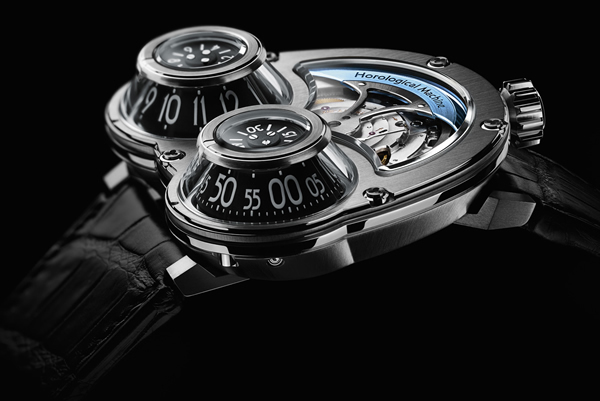 The six tubes are presented as three pairs – for hours, minutes and seconds, or day, month and year. 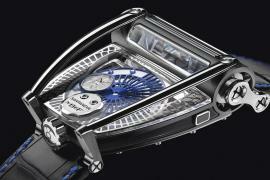 The tubes sit atop an eye-catching structure built in Buchwald’s signature “heavy engineering” style, as he puts it, that he established in his Machine Lights series. 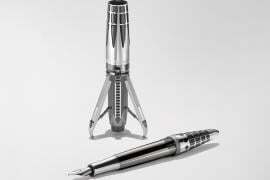 The stunning retro-futuristic design, bearing four legs and body-like symmetry, could have stepped straight out of a sci-fi movie. 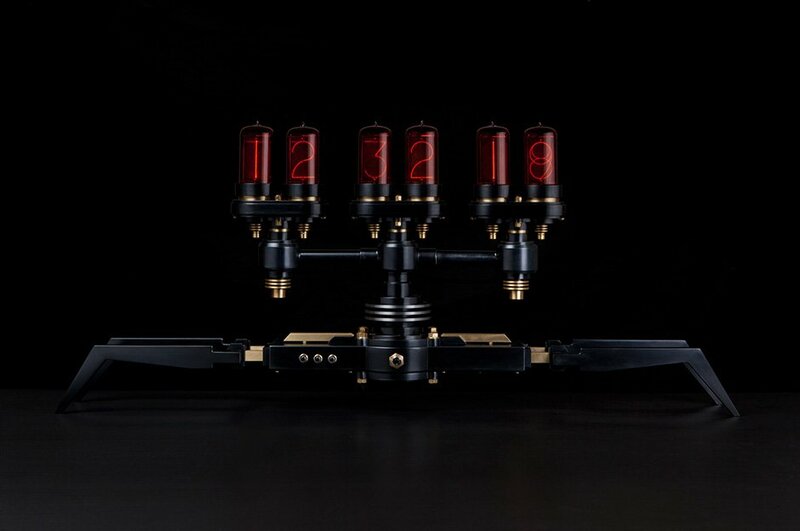 The Nixie tubes used for this project are 90mm in height, being among the largest and rarest ever manufactured. 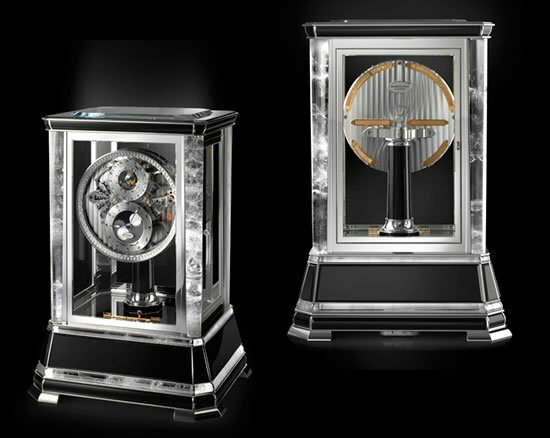 As each Nixie Machine is handmade and require months of meticulous work, Buchwald can only make about 6 such machines per year, each one signed by the artist. 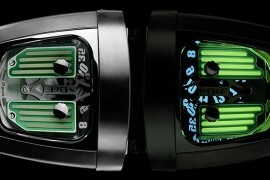 Nixie Machine is available in a limited edition of 12 pieces. 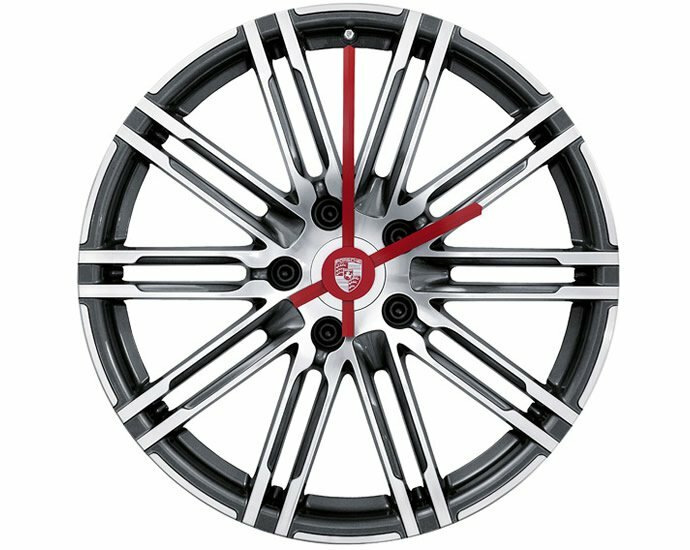 It’s available for CHF 24,800 or approximately $27,000.